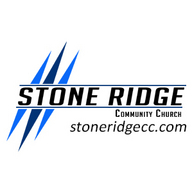 Stone Ridge is a church for the unchurched (never been to church before) or dechurched (have attended church and decided not to go back). We want to create a place where people can ask questions about faith; - a creative experience where people can take a second look at God. Our Sunday morning services are created with the guest in mind, where you will experience an environment that is friendly, relaxed and passionate about seeking God and growing closer to Him in a real way.